Today I bring you a demo of our robot arm working with ROS. The demo consists in having sliders connected to a virtual reality and to the real robot, so when we move the slider both real and virtual robot move simultaneously. So construction is getting under way with more serious parts. Now that we are getting comfortable with the cnc we moved on to working with 5mm thick aluminium. As usual using compressed air with mist cooling and lubrication. Final result. 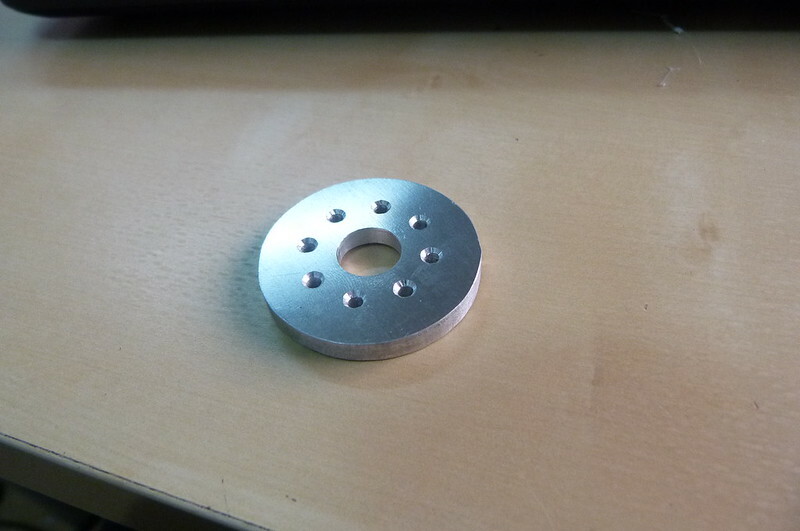 It's a washer for a Robotis MX64. The thickness is because this washer is going to handle all the torque generated in the leg to torso junction in the hip. It's the most critical part in the robot, as such we over designed to make sure it's going to last. 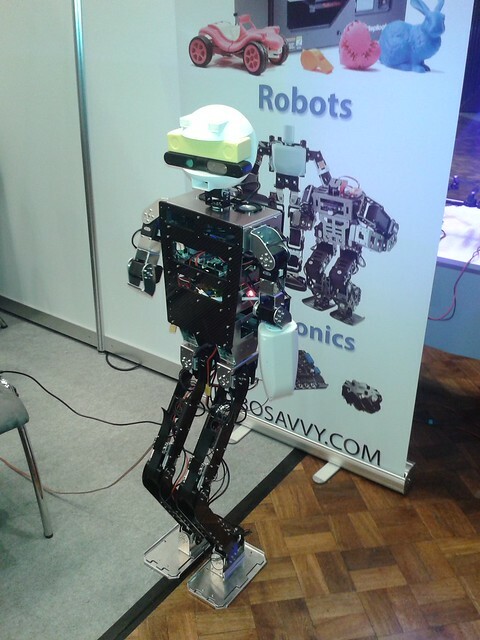 Our 1m tall Humanoid has made its first public appearance at ICRA 2013 (currently happening in Germany). 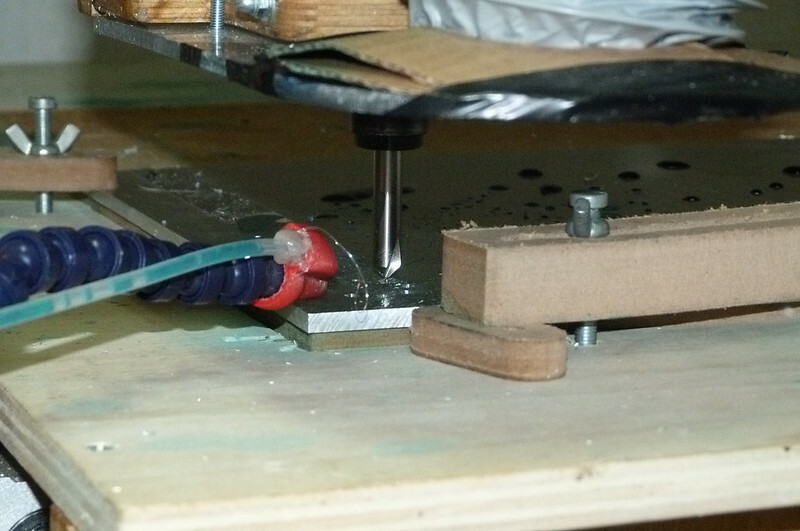 The finger segments were redesigned for added strength, so we created this test jig to do a proper stress test on them. 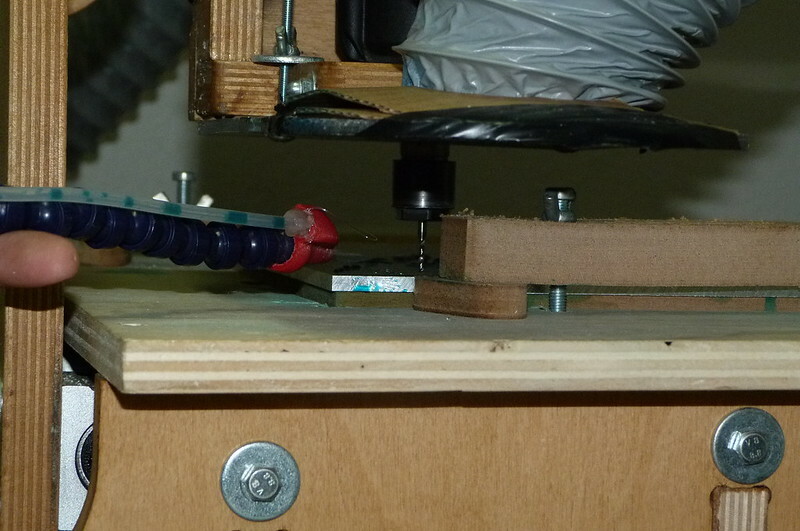 We use a gear motor from Wild Thumper to have enough force to close all the fingers at once. This creates 2 cycles per second, so over 170K cycles in one day of continuous operation. No problems so far. I expect the first thing to go will be the wires from abrasion, but those are easy enough to swap out. LOL! That's a PRODUCT!!! Robosavvy Back Scratcher. Have you considered using nylon or other type of plastic (I'm using Teflon, but it does stretch, probably not best for heavy use) for the tendons instead of wire? I did try old-school fishing line (nylon) but I found it to be very stretchy, stiff to bend and not very resistant to abrasion. Also next to impossible to tie small knots. These new synthetic braided fishing lines seem much better. Stronger for the same diameter and better in all the mentioned aspects. Abrasion resistance is quite good. Even going over sharp edges in PLA (which is quite hard) I can barely see any signs of use, after almost 100k cycles. Definitely the way to go for us. Also of note, after already decided on this I saw that Shadow Hand uses the same kind of wires, albeit thicker.